All good characters should have scars. When you read the title of this post, you probably thought, “What is she talking about? Has she jumped off the deep end?” Nope, I’m doing well, thank you, and I promise that the title will make sense after you’ve finished reading the post. 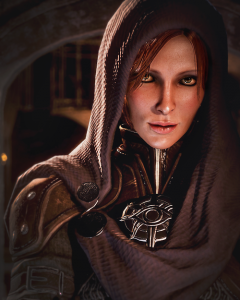 All the wonderful characters in Dragon Age: Inquisition. I have been playing Dragon Age Inquisition for the past two weeks or so, and yes, I know that I’m really late to the party and the game came out in October last year. I was in the middle of my first draft of Choices, so I didn’t want to have any distractions. Getting DA: I was my reward for finishing it. Now I am a big fan of the Dragon Age series and I’ve played all the games and expansions since DA: Origins. 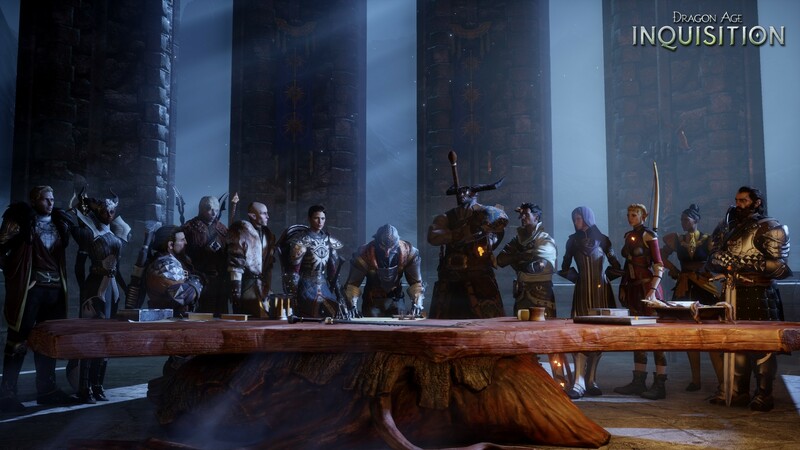 Bioware managed to create a complex and compelling world worthy of some good epic fantasy novels. I enjoy roaming around the different zones and collecting books, letters and codex entries, but you know what keeps me coming back to those games? The characters. I think I spend more time in camp or in Skyhold talking to all my companions and learning their stories then I do exploring different locations, doing quests and killing baddies. I’ve been knowns to stop dead in my tracks just to listen to the random party banter and switch the companions I run with around just to see how they interact with each other. 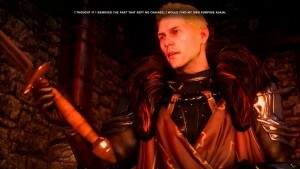 To me, unlocking a new dialogue option for Zevran, Cassandra, Cullen or Fenris or any other companions is more exciting than defeating a new boss. 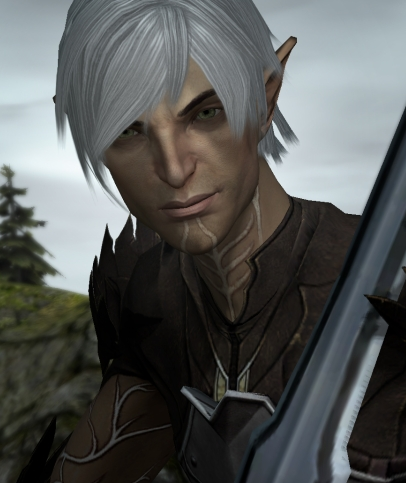 So to me the success of Dragon Age franchise has everything to do with the complexity of the characters, and you know what gives them this complexity? Scars. Cullen struggles with his lyrium addiction every day. No, what makes all those characters interesting are the psychological scars all of them bear on top of those physical ones. They make them seem more human and fallible and also so much more endearing. We all have scars. They define us and determine how we interact with the rest of the world. They make us unique. They make us real. The procedure of branding Fenris with lyrium was so painful that he forgot everything he was before that. That’s why nobody wants to read about perfect characters – they are not interesting. Perfection provokes detachment instead of empathy. Would I want to hang around someone who has a perfect life, always does the right thing just because, and never seems to struggle with anything? Hm… probably not. So why would I spend hours reading about them or interacting with them in a game? Scars give the characters depth and purpose other than following your main character around. They hint at a life outside of the story you are reading / playing. 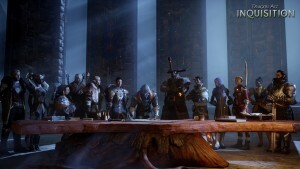 Each one of Dragon Age companions could be the hero of their own story. In fact I WANT to read their stories or play through them. There is nothing left of the young bard Leliana we saw in Dragon Age Origins in this master spy. That’s what makes Dragon Age such a great game and keeps you coming back to it even if you’ve already invested over a hundred hours into the game. You come back for the story, but you also come back for all those side stories and character interactions. I think this is a lesson every writer should remember. If you want to keep your readers engaged and make them stick with you until the end, you need an interesting story, but I think (and some of you might disagree of course) that characters are much more important. Create a protagonist and secondary characters that the readers invest in and they will follow them even through the moments when the story slows down because they will want to spend time with them and get to know them better. Give your character scars. Previous PostThe Flex by Ferrett Steinmetz.Next PostVision in Silver by Anne Bishop. All very good advice! I’m busy creating characters for a couple of sci fi novellas, and I haven’t found their pain yet. I need to keep digging and really peg it down. Right now I have Sherlock, Agatha Heterodyne from the Girl Genius comic, and Monk–in space, trying to save a colony ship from a being destroyed by what they think is an alien ghost. Each of those characters has pain, but I’m trying to change it up so the characters are mine, not just caricatures of someone else. I found that what helps me create my own characters is to give them distinct names. Don’t call them Sherlock or Monk, even if they are inspired by those characters. Give them names that will be their own. Then try to dig into their past, create their back story, make it different, make it once again THEIR OWN. One of the characters in Of Broken Things was inspired by the excellent performance of Benedict Cumberbach as Khan in Star Trek, but GMS798 are nothing alike anymore apart from both being genetically modified soldiers. I took a face and an idea and made them my own. Oh yeah, they have their own names–Darian, Morgan, and Trey–just people instantly recognize the archetypes I’m going for. I’m building their strengths first, then flipping them for weaknesses. For instance, Morgan is heavily augmented, which makes her a mechanical genius, yet doesn’t make her a better person, and leaves her wondering if she’s even human anymore.